BALI, Indonesia — Farmer Wayan Kasih and her neighbors have had to move five times since the evacuations began in September, when Mt. Agung first showed signs of volcanic activity. “We don’t have anything anymore, we had to sell all our cattle,” she said. Fearful of an imminent volcanic eruption, she knew she had to leave her farmland as soon as she could, so she was forced to sell her livestock — her family’s most valuable assets — at a fifth of the normal rate. And while the government has stepped in to provide sufficient amounts of rice and oil, the next meal is constantly a source of worry. “For 18 families, we were given a single crate of eggs to last for three days,” she said. Some 70,000 people are living in evacuation centers on the Indonesian island, where Mt. Agung has been erupting since Nov. 21. Many evacuees returned home when the volcano appeared to calm down in October, but they were forced to evacuate again when local authorities raised the alert level last month. Unsure of when the volcano will stop erupting, farmers spend their days idly waiting in evacuation centers, while children jump from school to school, assigned to different locations as authorities struggle to accommodate them. 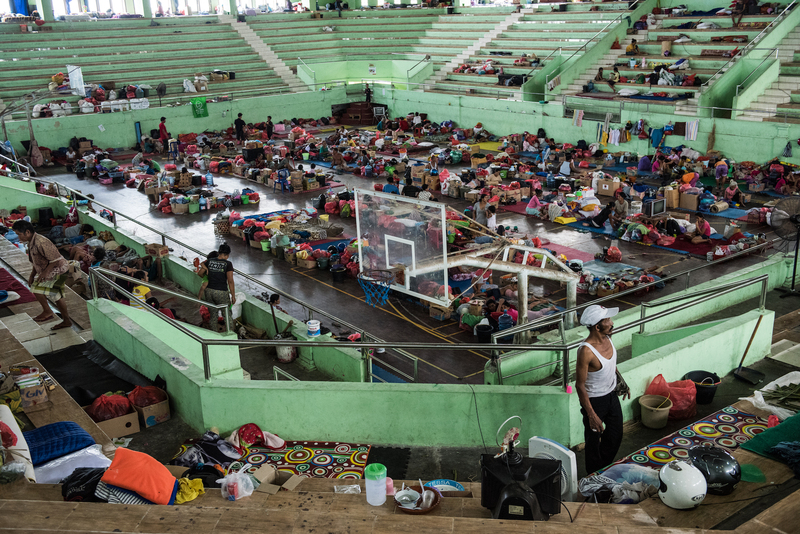 Still, many others simply ignore the evacuation orders, choosing to tend to their crops and livestock, only to return at night to sleep in the government-run evacuation centers. But the Indonesian government’s caution is well-founded. The volcano killed more than 1,000 people when it last erupted in 1963. When volcanic activity increased with remarkable speed in September, volcanologists feared a similarly violent eruption could occur. At some points in October, almost 1,200 earthquakes were recorded each day, when the island normally experiences just a handful every year. Vice News visited local residents who’ve been forced to flee their homes due to Mt. Agung, biding their time in evacuation centers and waiting for the moment it’s finally safe to return home.